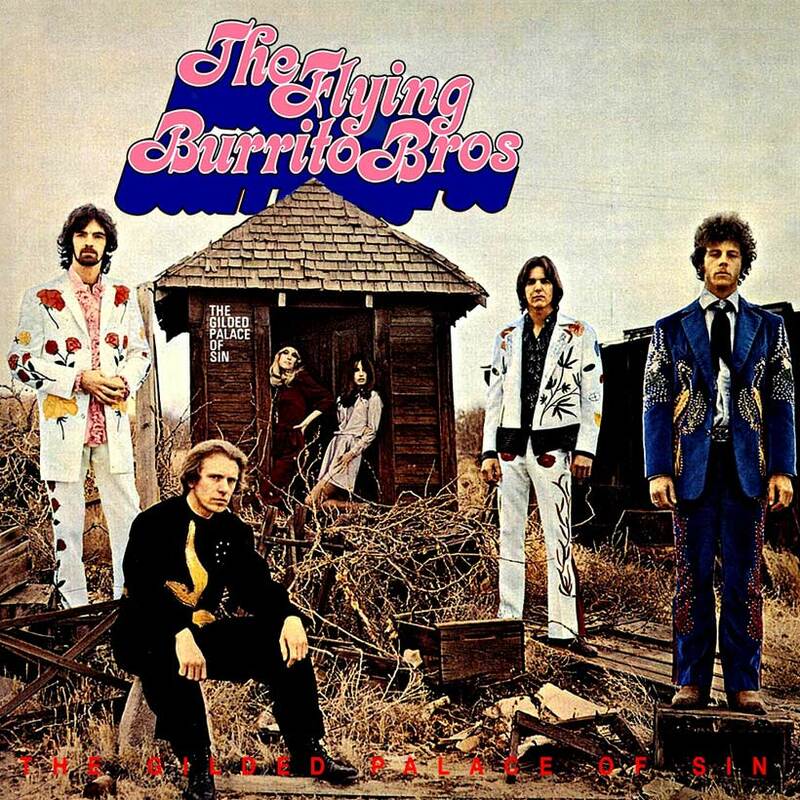 When The Gilded Palace Of Sin was released, on 6th February 1969, sales were initially not good but their debut album by The Flying Burrito Brothers has since earned its status as one of the defining albums of country-rock and Americana music. named it as one of the 500 essential albums all music lovers should own. Gram Parsons and Chris Hillman formed the The Flying Burrito Brothers after both leaving The Byrds. They brought in bassist Chris Ethridge and pedal steel guitarist Pete Kleinow to complete the line-up, appropriating the band’s name from a group of Los Angeles musicians who gathered for jam sessions. “We’re a rock’n’roll band that sounds like a country band,” said Gram Parsons, a Harvard theology student drop-out who was 22 when the album was made. The singer-songwriter, guitarist and keyboardist is acclaimed as one of the most innovative forces in country music, becoming a huge influence on musicians as diverse as Emmylou Harris, Ryan Adams and Lucinda Williams. Hillman said he woke up one morning with the lines “This old town’s filled with sin/It’ll swallow you in” swimming in his head. He roused his flatmate Parsons and they completed the song in about 30 minutes. “It was just before Christmas and it was about to rain; and we were living in the San Fernando Valley in a tract type home,” Hillman recalled. ‘Sin City’ has been covered by scores of musicians . One of the qualities that underscores the whole album, right from the energetic opening track, ‘Christine’s Song’, is the brilliant playing of “Sneaky” Pete Kleinow’s pedal steel guitar. In 1969, the Burritos didn’t really have a lead guitarist so a lot of the solos fell to Kleinow. Parsons used to call him “The Maharishi Of Country Music”, and Kleinow became one of the most sought-after session musicians in the business. Gram Parsons, who was aged 26 when he died, in 1973, left a marvellous legacy, including The Gilded Palace Of Sin, which helped draw the blueprint for both 70s country-rock, Americana and the alt.country sound.